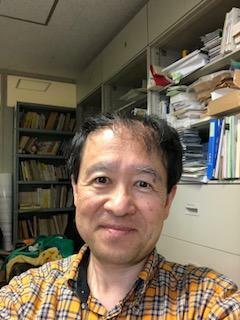 T.Oaku, N.Takayama, An algorithm for de Rham cohomology groups of the complement of an affine variety via $D$-module computation, Journal of Pure and Applied Algebra, 139, (1999), 201--233. M. Saito, B. Sturmfels, and N. Takayama, Gröbner Deformations of Hypergeometric Differential Equations, Algorithms and Computation in Mathematics 6, Springer, 2000. Maekawa, M., Noro, M., Takayama, N., Tamura, Y., Ohara, K., The Design and Implementation of OpenXM-RFC 100 and 101. Computer Mathematics, Proceedings of the Fifth Asian Symposium (ASCM 2001), edited by Shirayanagi and Yokoyama, World Scientific, 102--111, 2001. Edited by A.Cohen, X.Gao and N.Takayama, Mathematical Software Proceedings of ICMS 2002, (2002), World Scientific. Nobuki Takayama, Generating Kummer Type Formulas for Hypergeometric Functions, Algebra, Geometry, and Mathematica Software, Springer, Edited by Michael Joswig and Nobuki Takayama, (2003) 131--145. Michel Granger, Toshinori Oaku, Nobuki Takayama, Tangent cone algorithm for homogenenized differential operators, Journal of Symbolic Computation 39 (2005), 417--431.